Modern finishes meet Spanish Colonial architecture at Palisades Sierra Del Oro. 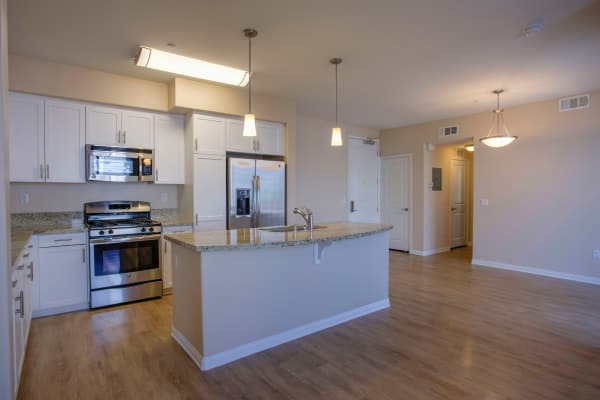 We offer you refreshing one, two, and three bedroom apartments for rent in the Sierra Del Oro neighborhood of Corona, California. Featuring a wide open layout and generous square footage, our homes are the perfect retreat near the Santa Ana Mountains. Take in the beautiful views while enjoying this quiet escape. Don’t miss out. Call our leasing office to reserve your space. At Palisades Sierra Del Oro, luxury can be found in even the smallest detail. 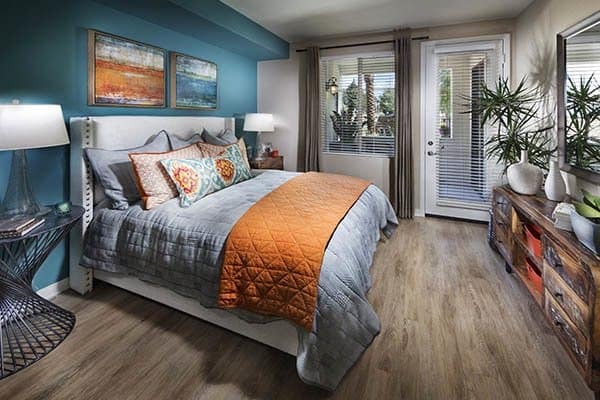 From the designer color scheme with a handsome accent wall to the sleek, neutral-tone wood flooring perfect for pairing with all furniture, we have crafted the ideal home. You will also enjoy a fully equipped gourmet kitchen with convenient, space-saving breakfast bar.